Lets Donkey Kong with Mr. Wong! Mr. Wong is the cool new kid on the block and with his gangnam style of cooking it has made him become Mr. Popular. Ok should I stop now? I think I should before my lameness reduces my readers by 110%. So besides the food, what else makes this place so popular? Let me give you three names: Dan Hong, Jowett Yu and Eric Koh. That to me initially didn't mean that much so let me translate that into 'Engrish' for you: Ms G's, El Loco and London's Hakkasan. Now we are talking. The restaurant is tucked away from the busyness of George Street. After 5 years of continuously walking up and down Bridge Lane, I found out there is a small alley lane that leads you to the restaurant. Guess that was my work out done for the night. Their food was good but the sweet and sour pork hock was amazeballs! I would be happy if they didn't give me anymore pork, I just wanted more sauce and I'll be one happy chappy. Everything in that dish was so perfect and well balanced. The coriander made it taste refreshing and it helped completed the taste of the sauce. The peking duck was one of the dishes that received a lot of thumbs up and after the first bite you know why. The duck was so so lean and there wasn't nearly as much as fat on the meat like most other peking ducks. You didn't have a pancake that would continuously drip in oil which often result in you feeling guilty. It would have been even more orgasmic if they were more generous on the hoisin sauce though especially considering they charged quite a bit for it. Generally you would get a second or third course when you have peking duck but at Mr. Wong's, it was an extra $20 or so. I spy with my eyes something beginning with D.. dumprings and more dumprings. Like shoes, one can never have too many dumprings in their life. These babies were dam dericious but also dam pricey. 4 bucks PER dumpling is excessive for me, especially when you can get a set of 4 dim sums for 6 bucks or so. The dumplings were definitely larger than your normal yum cha sizes so it was possible to share them. But for me not that I am greedy or anything, why share when you can have your own. So I told you before that the sweet and sour pork but I am telling you now that their desserts are equally just as epic. I wanted to grab the bowls and lick each and every one of them till death do us part. I wanted to remain in my happy place. All four ice creams tasted amazing my personal favourite definitely would of been the roast white chocolate. It seriously tasted like a gourmet mango weiss bar LOL. Oh my gosh, it was sooooo good. The butter scotch sauce was too heavy and rich for my liking but the fried crumbs was delish. 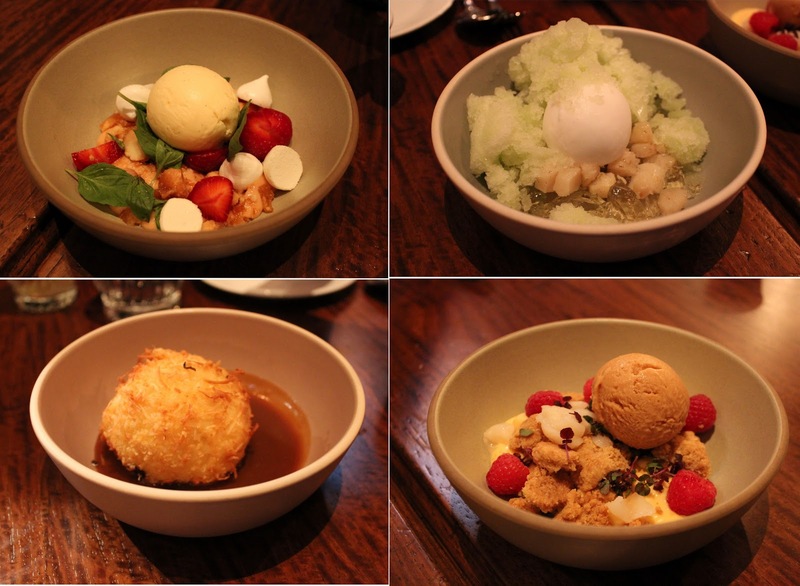 If you are getting all four desserts, best to have the green apple ice dish last. It was no where near as sweet as the others but it gives it a cleansing refreshing taste after all that sweetness. Mr. Wong's food is good but it is expensive, especially if you compare it a lot of Chinese/Asian restaurants out there. I went with a group of 6 and the bill came to approx $50 per person which isn't too bad, especially considering we did have duck. Sharing always helps. I know I really shouldn't be comparing because the chefs are much more renowned than your typical everyday Chinese chef but at the end of the day but it is a bit hard not to when there are a thousand and one other chinese restaurants out there. I would definitely come back to get my gourmet mango weiss bar LOL. 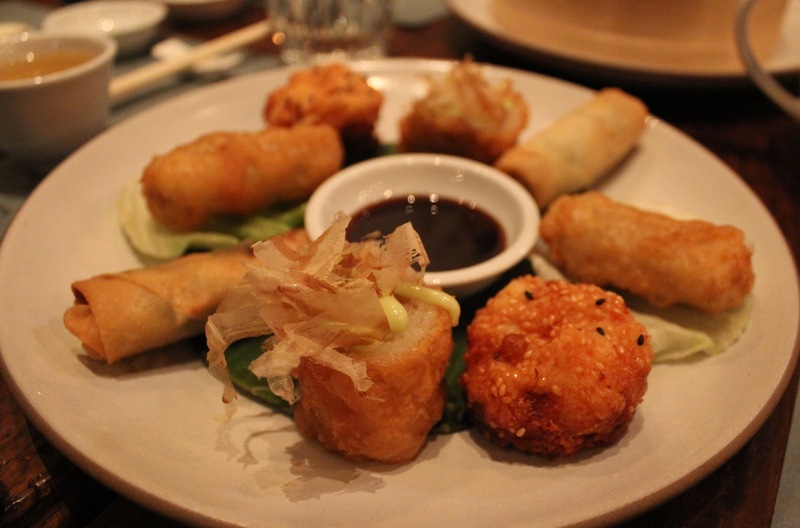 oh man still dying to go to mr wongs! Man, that Chinese roast platter looks amazing! need to go back for the peking duck, loved it so much! Hubba hubba let me at that duck! I was there last Saturday lunch but we didn't order the roast duck. I wish we had room to fit in some fried rice and your dessert pics look awesome! Isn't the pork hock great! Not a big dessert lover, but have now had a couple at Mr Wongs. I want me some dumprings! pork hock sounds delish! I loved the roast white choc ice cream and peking duck here too.... so good!! all the desserts & dumplings look so good!